In his daily duties with Xurli, Yunus helps clients and employees by making things work, and look pretty. He considers himself a friendly ninja rock star developer, a quality much needed when helping Jeff cope with the day-to-day dynamics of an online business assisting local businesses to make their online presence a viable tool in their desire to grow and adapt their businesses to this new high-tech world we live in today. Yunus’s qualifications that are highly valued by the various staff members he interacts with include his patience, the ability to communicate fluently in the range from geek to everyday folk. He is unique in the fact that he solves all issues presented with an inpiration to challenge every area of his skills and knowledge. Further, he uses both halves of his brain to produce creative solutions from both an artistic and scientific perspective. 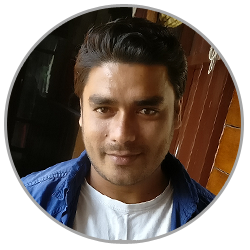 His past experience involves working with a Software Development company in Pune, Maharastra, India for around 3 years where He used to deal with the clients himself and then shared the details with his other team members. He used to work as a Technical team lead for the company after which he decided to join the Xurli team where he finds the challenges more rewarding. In his spare time, Yunus enjoys fishing, playing cricket and continues to further his knowledge in computer science. Yunus’s life dream is to sail around the world, but also has a compassion for the less fortunate and would like to create an orphanage for children.